Kappa, HYPE and LOVE. Everyone loves their emotes. They bring a little extra flair to Twitch chat. 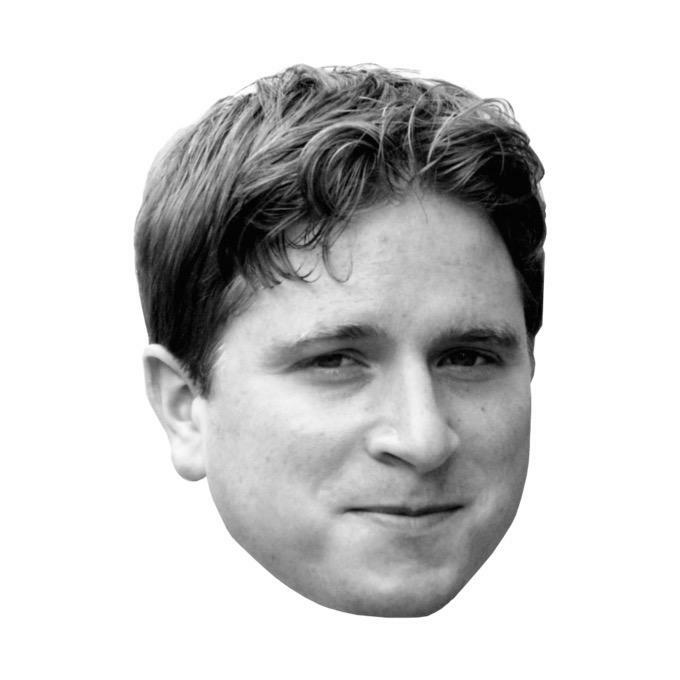 There are hundreds of free twitch emotes anyone can use, such as Kappa. Twitch Partners have their own custom emotes that their subscribers can use across all of Twitch. Finally, there are emotes that only Twitch Turbo users can access, like KappaHD. Emotes are a great way to #SpreadTheLove #SpreadTheTwitch. Custom emotes can be used as a form of free advertisement for your channel. They get viewers HYPED when the streamer says “lets see some tatLove spam in the chat for…”. But how can a non-Partnered streamer get their own custom emotes? This is where FrankerFaceZ and BetterTTV come in. BetterTTV is a plugin for Google Chrome and Firefox that I have used for a long time now. It allows you to create and use custom emotes that other users of BTTV can see and use themselves. Getting an emote published through BTTV is pretty simple. You go to https://manage.betterttv.net, log in with your Twitch, then submit your emotes. The site lays out all the guidelines for creating and submitting emotes. With BTTV, you need to submit 3 different sizes of each emote in PNG format. 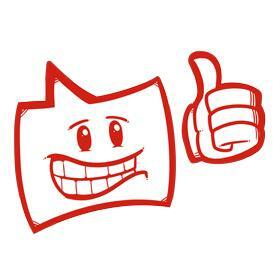 Once you have your emotes approved, they will initially only work in your channel. You need to allow your emotes to be used in other channels. To enable this, click on each emote separately on the BTTV website, then check the box to make them available to be used in other channels! In order to enable someone else’s shared emote in your channel, scroll to the bottom of the dashboard and type in the emote owner’s channel name. Click on an emote, then click the green “Use in my Channel” button & BOOM, it will now work in your channel. Currently, you can submit and share a total of 5 emotes for your channel. So choose wisely. I see this changing in the future, since FrankerFaceZ allows you have 25 for free, with the ability to get up to 50. So how does FrankerFaceZ compare to BTTV? FrankerFaceZ is a Twitch chat extension for Chrome, Firefox, and Opera. FrankFaceZ has one little caveat that I love: the emotes are built right into the Twitch chat box. 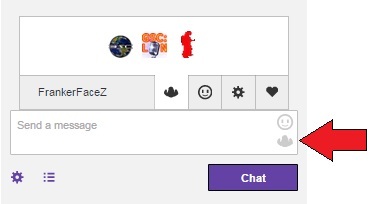 After you install the extension, you can click the little FrankerFaceZ icon and BOOM, there are your custom emotes ready to plug into the chat. Submitting emotes to FrankerFaceZ is just as simple. You go to https://www.frankerfacez.com, log in with your twitch and click Emoticons -> “Submit New Emotes” from the drop-down bar. 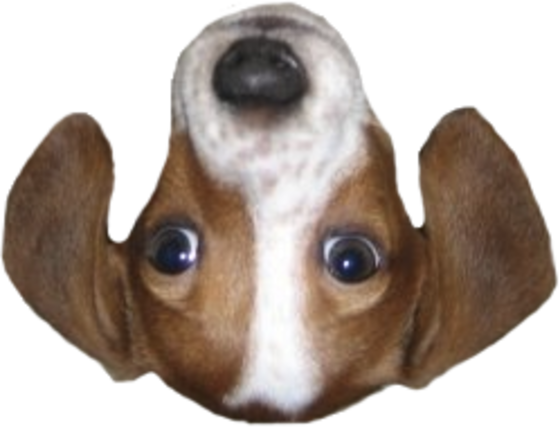 With FrankerFaceZ, you can submit 3 sizes of your new emote, but it is not required. If you don’t have an image for every resolution, FrankerFaceZ will automatically generate the missing smaller images from the high-resolution one you provide. Once you have your emotes approved, the main dashboard will allow you to designate which emotes you want available for use in your channel which ones you want to share. Now, another AWESOMEBalls fact about FrankerFaceZ is that you get 25 custom emotes for free, and have the ability to use 25 emotes of other streamers. You can double these amounts with a one time donation of at least $5 to increase the totals to 50. You should use both, because that way you get more flair, more hype, it makes the chat more interactive and exposes you a wider community. Here are GSC’s emotes. You will need to “allow their use” in your channel for them to show up correctly. In closing, I highly recommend creating custom emotes for your channel. It has made my chat more enjoyable, and my viewers enjoy them as well! Your friends may also opt-in to use your emotes in their channel and vice-versa. It is a great way to bring excitement and SpreadTheLove SpreadTheTwitch.